Warframe update: The Second Dream available now! Proving once again that there’s never been a better time to be a space ninja, Digital Extremes is excited to announce the launch of The Second Dream, the largest and most ambitious update yet for the AAA, Free-to-Play hit, Warframe. In addition to the introduction of the first cinematic quest, Tenno can look forward to the addition of Ivara, a brand new Archer themed Warframe, a new PvP map, Sortie Missions, tons of new gear and weapons, and more. Everyone at Digital Extremes is thrilled to invite players into Warframe’s largest and most tight-lipped update yet – there is much content to be discovered. Keep an eye out at www.warframe.com for additional details about The Second Dream. Console Tenno, don’t fret. The Second Dream will reach PlayStation 4 and Xbox One before the end of the year! The Sentient Hunhow has enlisted the Stalker to destroy the Tenno by exploiting a long forgotten secret. A secret that cuts to the heart of what it means to be a Tenno. 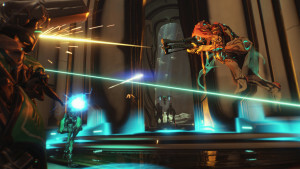 Devoted Warframe players will have the opportunity to begin this Quest right away while new players entering Warframe will delight in completing several previous Quests before attempting The Second Dream. o Cloak Arrow: Creates a defensive bubble that cloaks allies and shields them from attacks. o Dashwire Arrow: Fires a zipline. o Slumber Arrow: Induces a temporary slumber in target. o Intrigue Arrow: Creates a noise at the point of impact to attract enemies. • Navigator — Assume control of a projectile and guide it to its targets. • Prowl — Become invisible, steal loot from unsuspecting enemies then go on the offensive with increased headshot damage. • Artemis Bow — Summon a mighty bow and unleash a volley of devastating arrows. Teshin’s Conclave expands across new grounds with weekly challenges available for his pupils in training. Vauban, Nekros, Mirage, Limbo, and Ivara join their peers in the Conclave. 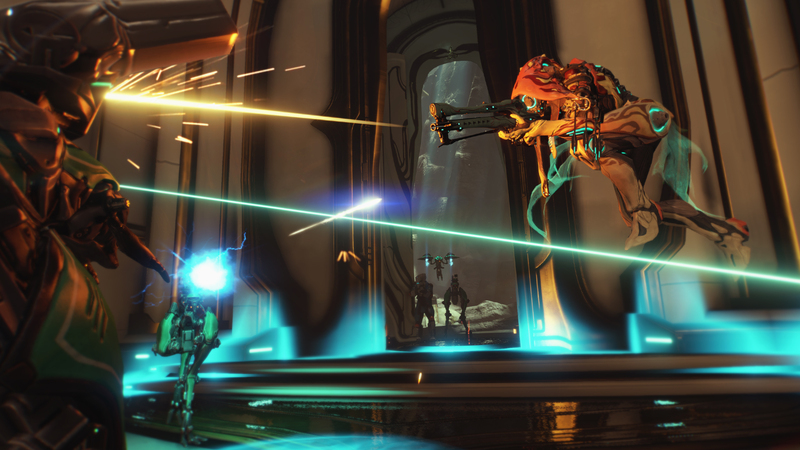 Battle for supremacy in the ruins of an Orokin Lunar outpost, and continue to master the Ways of Old. Sortie Missions are difficult endgame Missions for experienced Tenno that can be completed alone or with a group. • Each Sortie Mission will have its own unique requirements or enemy modifiers, favoring Tenno that have a versatile Arsenal. • Players can access Sortie Missions through the new Sortie Icon through the upper right hand corner of the World State Window in Navigation. • Sortie Missions will change daily, and players must complete all three Missions to receive a reward from that Season’s pool. • Each Sortie Season will last for a period of 15 days before cycling in a new Season with an updated loot table.